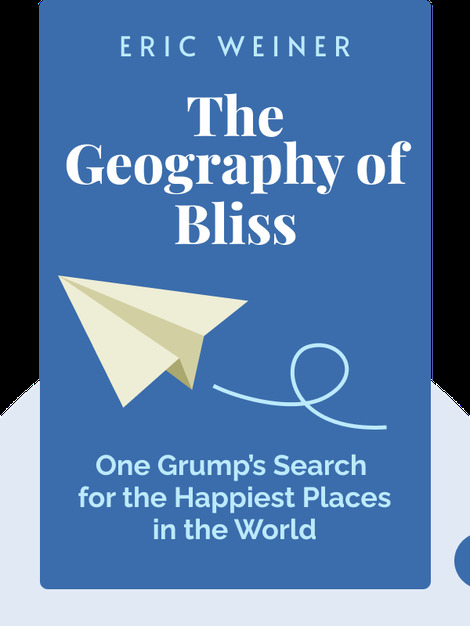 The Geography of Bliss (2008) asks which nations are the happiest on Earth, and what it is about these countries that makes their citizens so joyful. The answers to these questions reveal some fundamental truths about our many cultural differences, as well as the many similarities and contradictions we share. Eric Weiner was a long-time foreign correspondent for National Public Radio, having been stationed in New Delhi, Jerusalem and Tokyo. His work covering Islamic news in Asia won him the Angel Award for outstanding journalism. 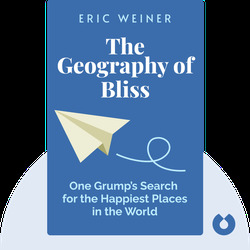 His writing has appeared in the Los Angeles Times and the Washington Post, and his other best-selling books include The Geography of Genius.